For years I suffered through poor-quality spotting scopes, and for years it made my range trips less efficient and fun than they could have been. Too often I’d have to give up on a string at 200 yards (and sometimes even at 100) because I wasn’t sure what was happening at the target—and then make the walk of shame to check it. Don’t be like me, and don’t handicap yourself by trying to spot your shots with binoculars or your riflescope. Get a good spotting scope. I was able to obtain samples of current spotters from four companies and compared them. My test was not overly scientific, but it is practical enough for comparison purposes. I highly recommend borrowing as many scopes as you can from your friends and evaluate them side by side in whatever venue you plan to use them. “Trying them on” inside a store isn’t going to tell you much. 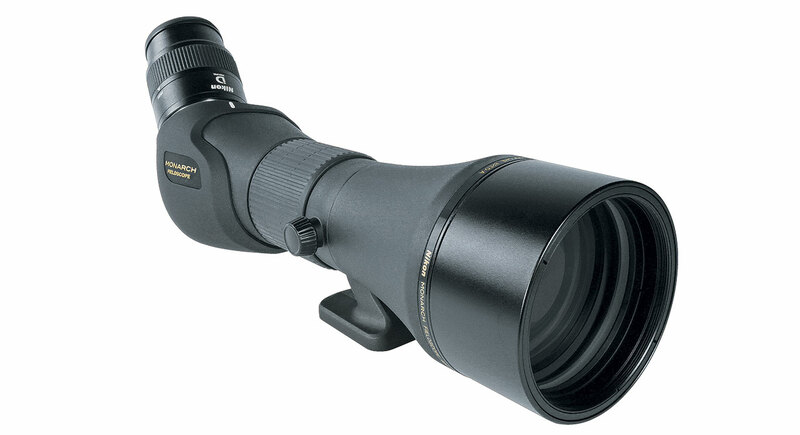 Because a lot of you are hunters, the second component involved taking the scopes out into the mountains and using them to glass as you would while hunting. Close to dark, my wife (tester B) and I (tester A) were fortunate to have a couple mule deer feeding nearly 900 yards away to judge field clarity. men. You may think color is of secondary importance, but it does affect your overall perception of what you’re seeing through an optic. Eyeglasses versus no eyeglasses is important because it affects eye relief, and readers should view the following results with that in mind. Plus, everyone sees things differently, and your mileage may vary, as they say. The apochromatically corrected fluoride glass and coatings in this scope deliver premium performance. Color and brightness were excellent—as was the sharpness, as evidenced by the 200-yard range evaluation—and both testers found Leica’s focus and power-change controls to be superior. The Leica features twin wheels at the top, as opposed to focus ring encircling the body. This allows the focus to be fine-tuned easily with much less scope movement, which makes it faster. While tester B thought the eye relief was fine, tester A found it to be lacking, especially at higher power. It’s the most expensive of the four, and its optical performance reflects that. Field of view: 135 ft. (25X), 92 ft. (50X) at 1,094 yds. 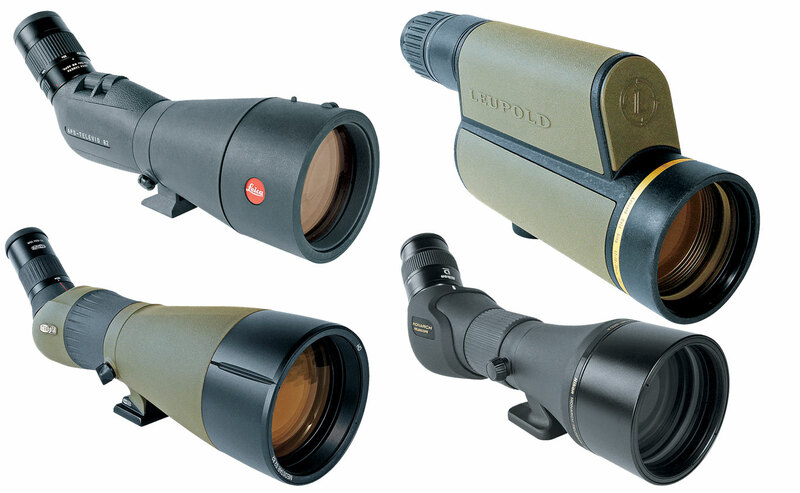 While it’s not as powerful nor seemingly as sharp as the other three, the Leupold is undeniably handy thanks to its small footprint and the well-designed case it comes with. 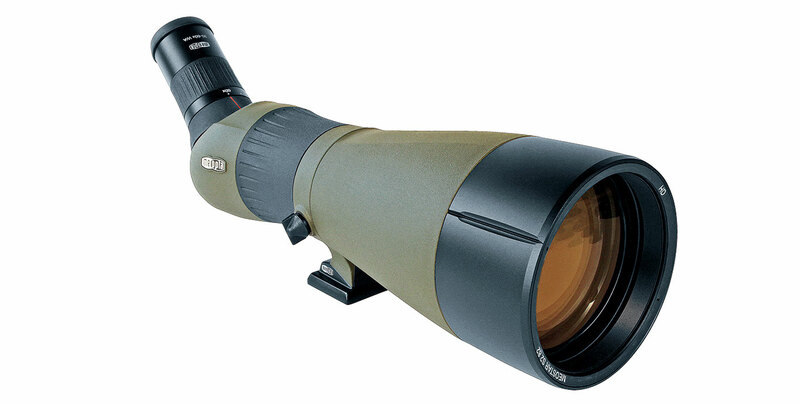 It fits easily into a range bag or backpack, and the case itself does away with scope caps—a zippered front and a drop-down rear portion protect the lenses when you’re not using the scope and stay out of the way when you are. 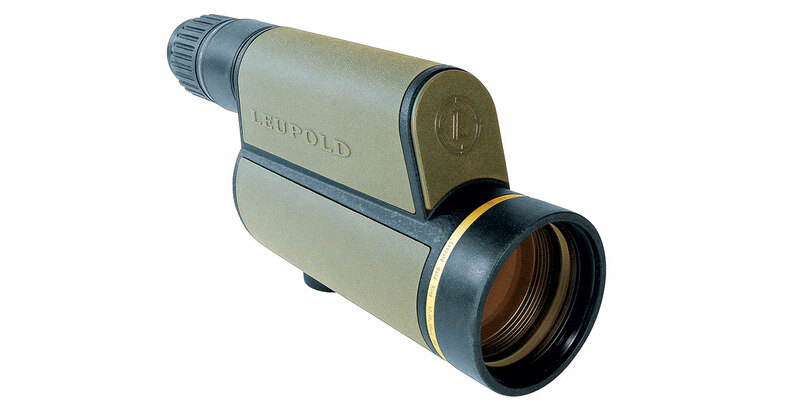 Truth be told, the Leupold delivered solid performance in all testing. It was bright and clear enough for range work and field work, even at distance in low light. However, the other scopes just seemed better optically. Field of view: 56 ft. (12X), 18 ft. (40X) at 1,000 yds. Tester A went back and forth between the Meopta and Leica numerous times during the range test before judging the Leica to be slightly sharper. Tester B also thought the Leica was sharper, but both testers found the Meopta to be brighter and sharper as the day darkened and the distance increased, which would be more important in the field than at the range. The selling point for tester A was the eye relief; the Meopta allowed a great field of view without him having to remove his glasses. The body-ring focus on the Meopta moved freely enough that scope disturbance wasn’t a hindrance, and with it and the Leica so, so close in optical quality, it really came down to eye relief and low-light clarity. The Nikon was not quite as sharp or bright as the Leica or the Meopta, but it is a truly capable scope and one that won’t break the bank. Resolution at the range was good enough it had no trouble discerning the difference between a single shot and a doubled one at 200 yards, and at long distance in low light it provided plenty of clarity and color. So it’s good glass. Tester B didn’t like the eye relief and wasn’t a fan of the controls. Tester A also found eye relief to be somewhat lacking but had no issues with the controls. Another advantage to this scope is the carrying case it comes with, which provides snaps and small D rings that would allow it to be lashed to a pack. Field of view: 111 ft. (20X), 51 ft. (60X) at 1,000 yds.